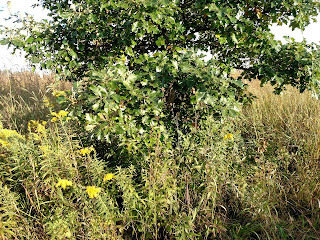 Status: Restoration complete, management ongoing. Some areas open to public, others by appointment only. 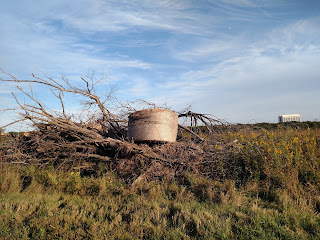 In the suburbs of Chicagoland lies the massive research compound of Fermilabs. After showing ID and passing through the guard booth, one quickly gets a sense of two very distinct endeavors. On one hand are the high-energy physics facilities, accounting for much of Fermilabs' $345 million annual budget, including the Tevatron particle accelerator that's 3.9-miles in circumference, that helped discover the top quark in 1995, the bottom Omega baryon in 2008, and the Higgs boson in 2011. On the other hand are the wildlife and ecosystem projects, accounting for much of Fermilabs' 7,000 acres. This article explores the latter system—the one I actually come close to understanding. So here's a review of their bison herd, as well as their restored prairies and savannas. Bison once grazed North America in the tens of millions. After being hunted to near-extinction, herds are gradually being reintroduced—mainly on ranches as meat, but also on preserves as wild herds, such as at the Tallgrasss Prairie in Oklahoma, the Konza Prairie in Kansas and Nature Conservancy lands in the Dakotas. 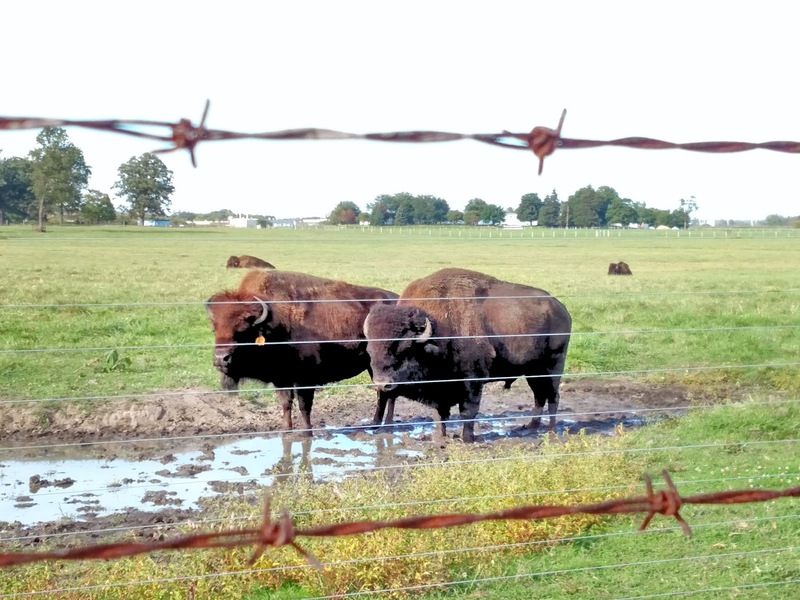 At Fermilab, their herd of around 30 bison began in 1969 when the lab's first director, Robert Wilson, bought a bull and four cows. Two years later the Nature Conservancy contributed 21 more. 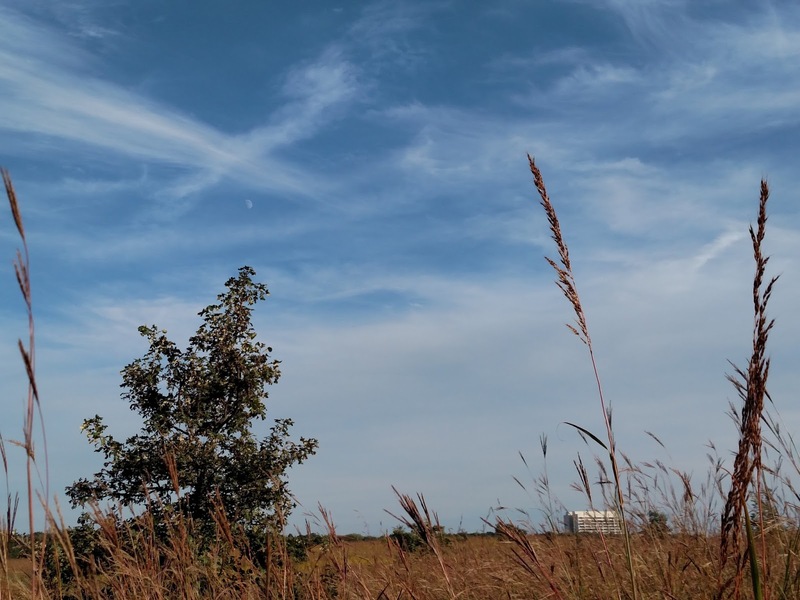 At Fermilabs, within their 95-acre enclosure, the herd eliminates the need for mowing or using herbicide, and maintain habitat for geese and other wildlife. 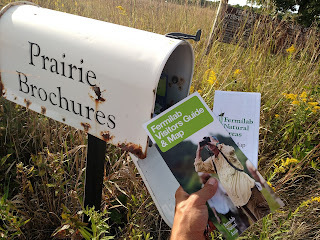 Most of all the bison offer symbolic support: branding Fermilabs as the 'frontier' of discovery, attracting visitors, and connecting them to the region's natural history. 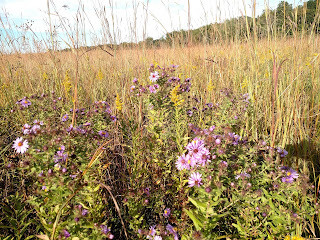 Prairie was the dominant ecosystem of the region prior to 19th century settlement. 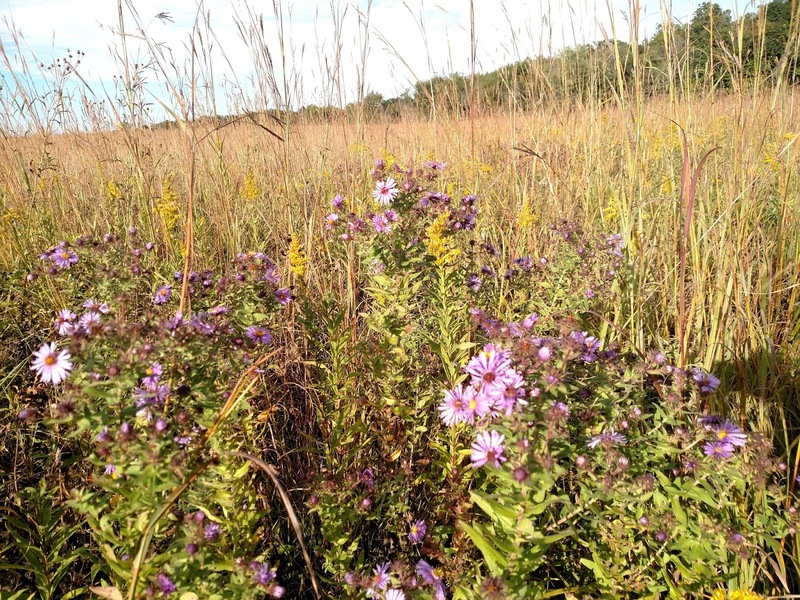 Today less than 0.1% of original prairie survives in Illinois. Prairie flower species include prairie dock, white wild indigo, compass plant, foxglove beard tongue and wild bergamot, according to the Visitors Guide . 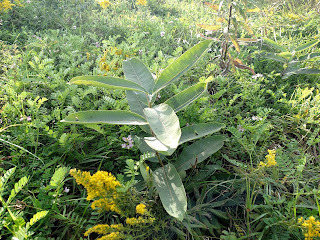 According to my own observation, species include New England aster, goldenrod, milkweed and crown vetch (pictured below). The dominant grass species is big bluestem. 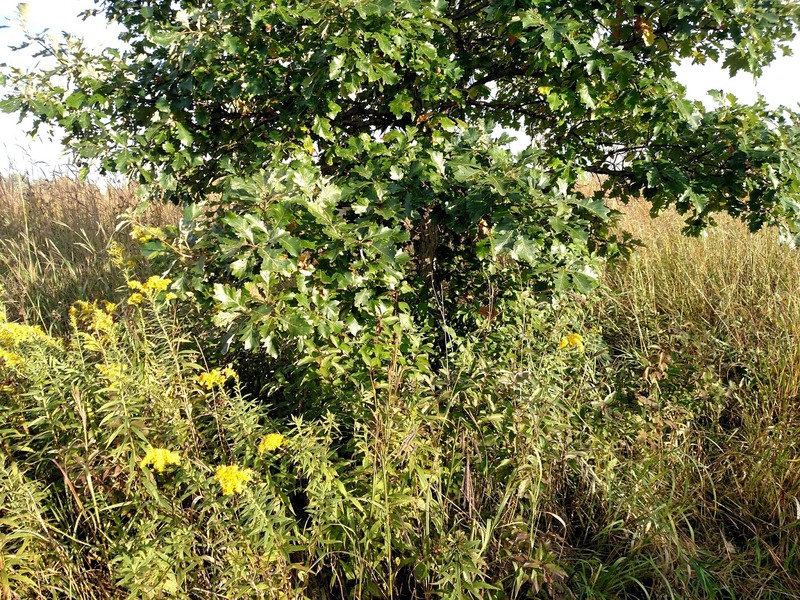 Opportunists include blackberry and mulberry, woody species who'd naturally be kept in check by fires. 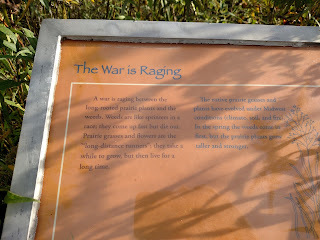 It reads: "A war is raging between the long-rooted prairie plants and the weeds. 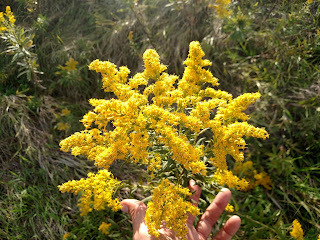 Weeds are like sprinters in a race; they come up fast but die out. 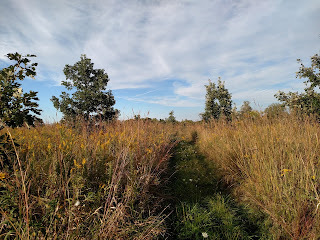 Prairie grasses and flowers are the 'long-distance runners'; they take a while to grow, but then live for a long time." The sign seems to be describing ecological succession, where fast-growing pioneers (i.e. 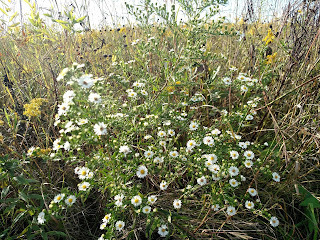 "weeds") help prep and build soil until the slower-growing perennials can take hold. The title could more accurately read "The Alliance is Raging." 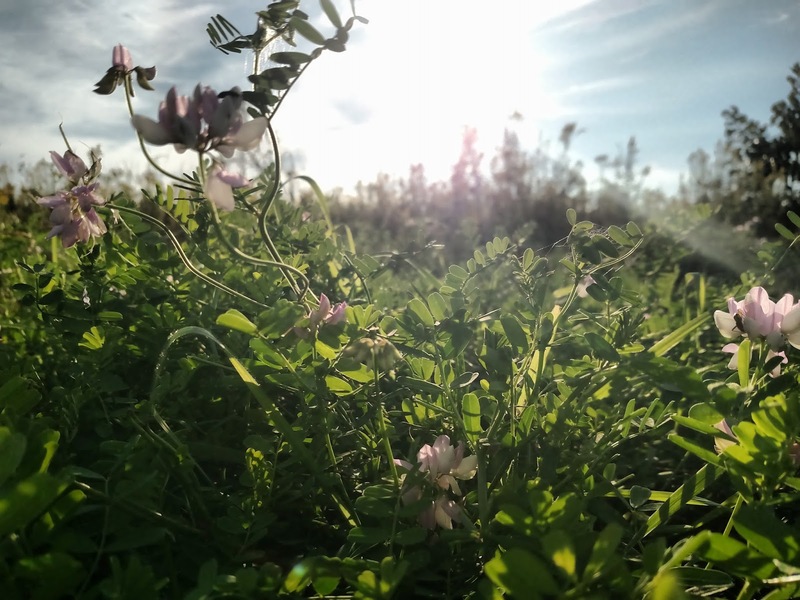 Here's an exemplary pioneer: Crown Vetch. It covers the ground quickly, preventing erosion, cooling and hydrating the microclimate, aerating and cultivating with its roots, building organic matter in the soil, and also fixing nitrogen. 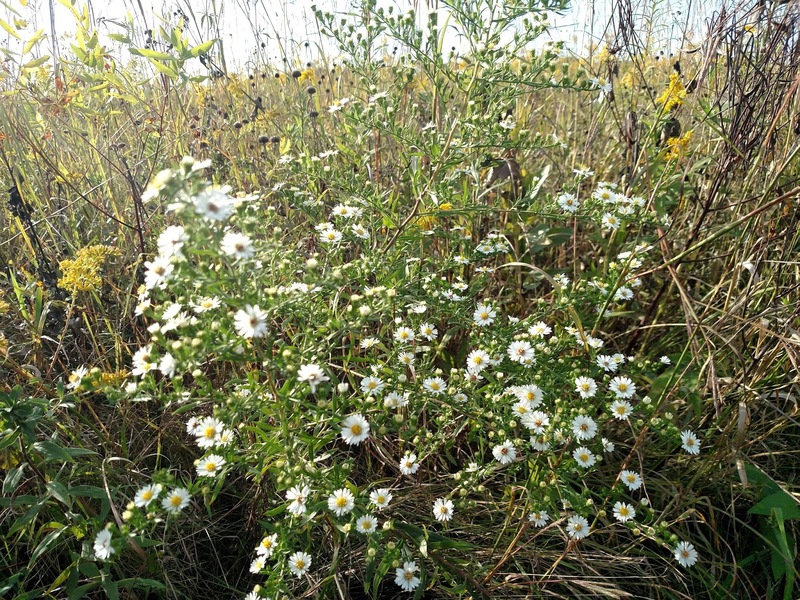 It's considered an "invasive" European plant and often grows on land disturbed by invasive European society, such as roadsides, construction sites, and in the case of Fermilabs' prairies, mowed pathways. 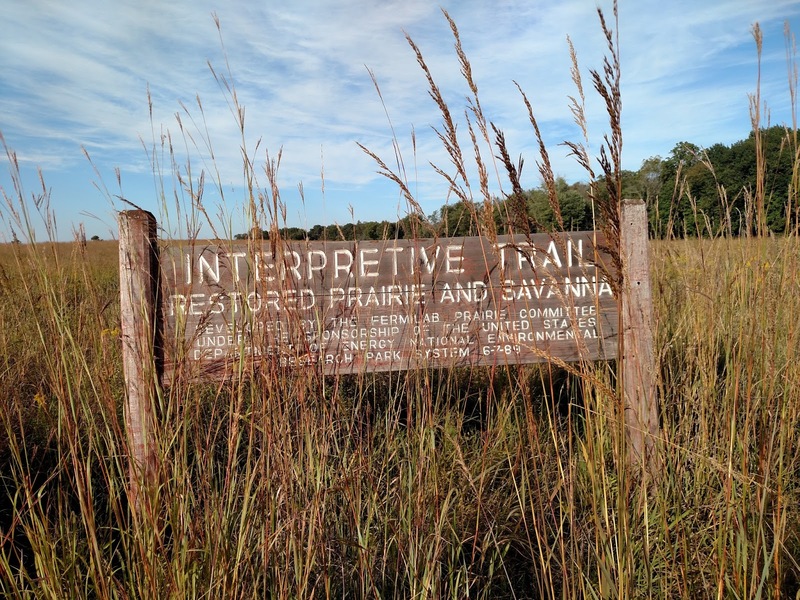 Savannas in the midwest are defined as oak trees (usually bur oak) as the primary component, providing roughly 10% to 50% canopy cover, with grasses, sedges and forbs growing beneath.